Fraud can happen in any organization—big or small— even in yours. Read this e-book to learn how to identify risks in your organization. 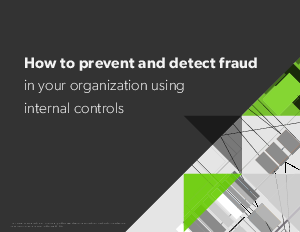 It details how and why fraud happens in many organizations, four steps to prevent and detect fraud through internal controls, and why properly designing controls is a crucial step.